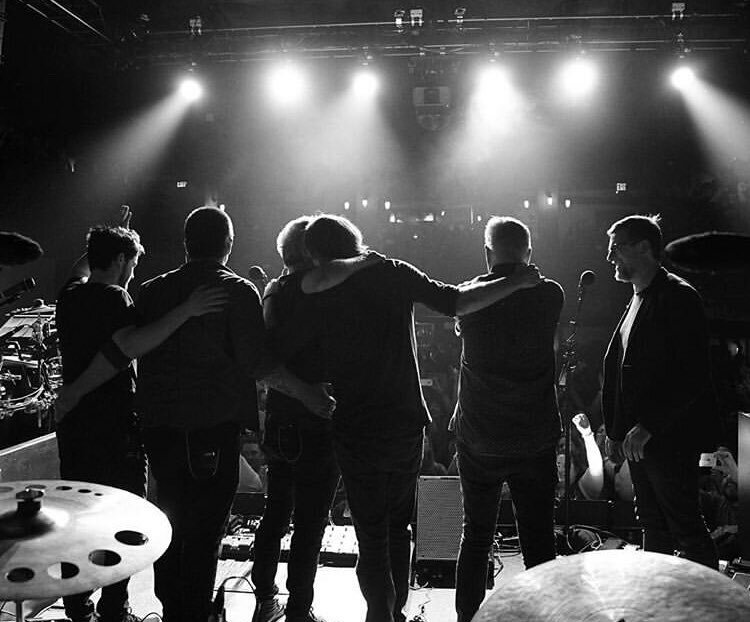 It's not every day that Trey sits in with a band in a small club. 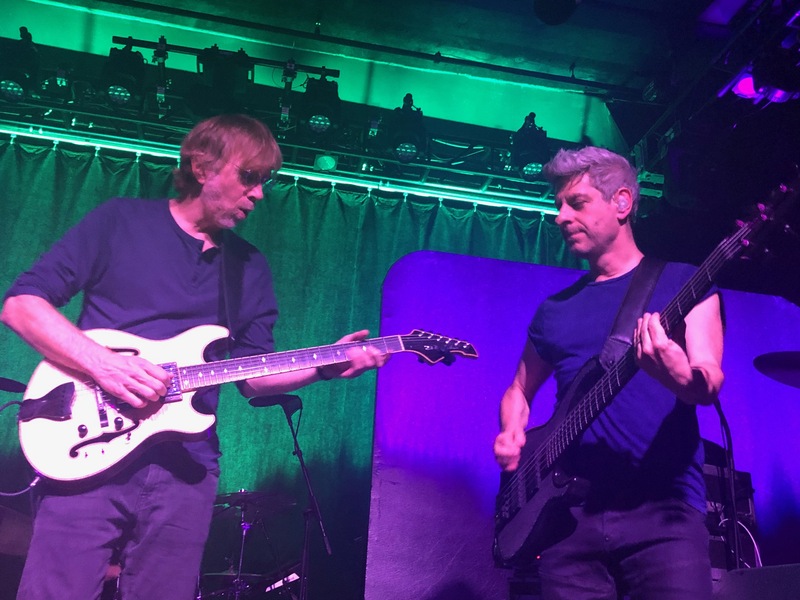 But last night, Trey sat in for more than half of Mike Gordon's show at The Sinclair in Cambridge, MA. It was the first time in years--since 4/4/14--that Mike got to play with both Scott Murawski and Trey, the two guitarists he's gigged with the most over the last 30 years. What was obviously a treat for Mike was also a treat for everyone present last night. You can download the show here on etree, thanks to taper Andy Murray. And JamBase wrote a great recap of the show, and it includes links to fan videos as well. It was the first time I'd seen Trey and Mike in such a small venue in over 29 years, since 10/6/89, at the old pre-renovation Paradise club in Boston. (The Sinclair's capacity is purportedly only 525.) 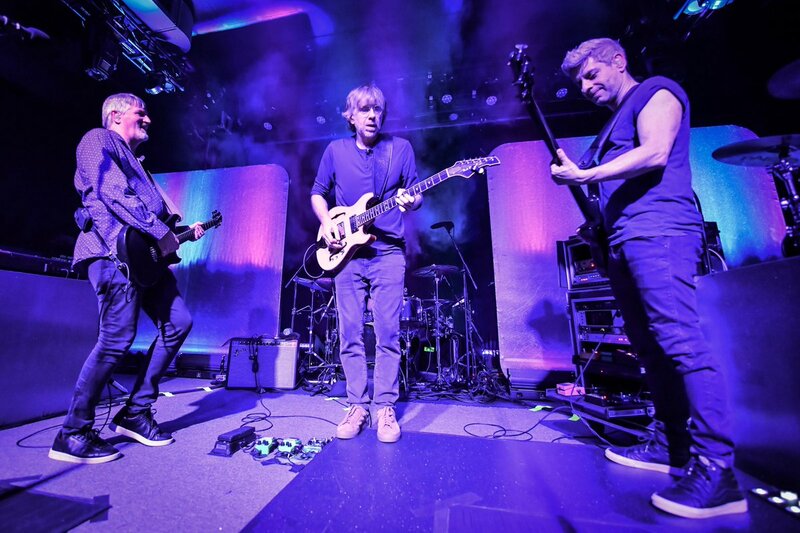 Highlight for me was probably the look Trey and Mike exchanged as they began "Sweet Emotion," as they instantly appeared more like 20-somethings than 50-somethings, immediately recalling a bygone era. And then they played the crap out of it, like it was an early to mid '90s "Good Times Bad Times" or "Fire" encore. Musical highlights abound, unsurprisingly; even you jadedvets should check the show out if you haven't yet. The "Got To Be More Careful," for example, featured a soulful Mike and Trey duet for a spell, and Trey really tore things up during "How Many People Are You," as you'd have hoped and expected. In fact the sickness of the set was a foregone conclusion if only given the intensity of the room when Trey walked on stage, and they ripped into "Victim," which is one of Mike's greatest songs in my opinion, and I wish Phish would play it for 20+ minutes sometime. Mike's band is killing it these days, what with Robert Walter on keyboards, John Kimock on drums, Craig Myers on percussion, and of course Scott Murawski on guitar. Get the tapes. $0.02. If you liked this blog post, one way you could "like" it is to make a donation to The Mockingbird Foundation, the sponsor of Phish.net. Support music education for children, and you just might change the world. Listening to the Victim, right now. It's surprising that I can be surprised after all these years. Surprised I made it, after a long day of Cambridge-Somerville trekking. Made it to Remnant and had some Bow Market vegetarian poutine, which was a revelation. The day hovered between winter and spring, back and forth, and I put more miles on the feets than I had in a while. Arriving late to the venue, we went right back up to the balcony and settled in quite well. For a moment, I felt like I was at the Bayou in 1991. However, I'm pretty sure that the Sinclair is smaller. This is a venue worth revisiting. Seeing Trey hop on board just made this show pop. Whatever energy MGB was exuding (and it has been a lot) simply multiplied by a factor of 5. The sound was great, too: not too loud, not too muddy. The upper back of the balcony is the only spot in there not FOB. Fantastic night.